Robert Fogel’s studies redefined the role of slavery and railroads in US history. NEW YORK — Robert W. Fogel — a Nobel-winning economist whose number-crunching empiricism upended established thinking, most provocatively about the economics of slavery — died Tuesday in Oak Lawn, Ill. He was 86. 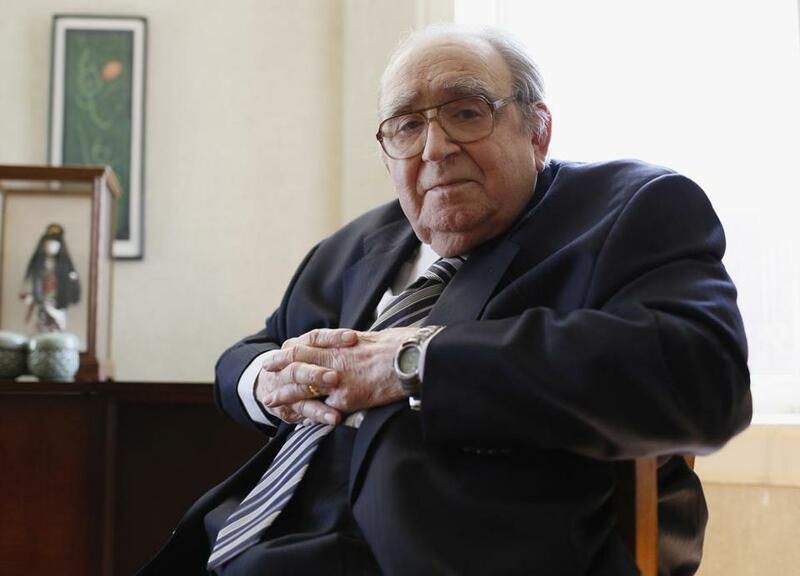 His death was announced by the Booth School of Business at the University of Chicago, where he had been a professor. He lived in the Hyde Park section of Chicago. He first came to prominence in 1964, when he contended that railroads had been far less important to the nation’s growth than long asserted. An outgrowth of doctoral work at Johns Hopkins University, his book “Railroads and American Economic Growth” became an immediate classic. But it was the publication 10 years later of “Time on the Cross,” a two-volume study of slavery, written with Stanley L. Engerman, that propelled Dr. Fogel into the critical spotlight and instant celebrity. They contended slavery had not been, as widely portrayed, an inefficient system destined for collapse, with slaves living in virtual concentration camps and worked to death. Rather, after studying medical records, cotton yields, and other data, the authors argued that slavery had been highly efficient in utilizing economies of scale and that plantation owners had regarded workers as economic assets whom they were inclined to treat at least as well as livestock. This tended to limit exploitation, Dr. Fogel and his colleague found, declaring that slave life in the South was generally better than that of industrial workers in the North. An intellectual firestorm resulted. Some critics accused Dr. Fogel, who was married to an African-American woman, of being an apologist for slavery, though he and Engerman had been explicit in saying slaves had been exploited in ways not captured by statistical data. Despite the attacks, the authors did not budge from their findings and their main point, that slavery would not have ended without the Civil War. Dr. Fogel received the Nobel in economic science in 1993, sharing it with a fellow cliometrician, Douglass C. North. He spent the latter decades of his career focused on how standards of living, including nutritional resources, affect health and longevity. Through much of history, he found, shorter people and those with low body mass were more prone to illness. He analyzed Civil War draft and pension records, linking them to mid-19th-century and early 20th-century census records to show how improved health enhances economic productivity. He estimated that one-third of per capita economic growth in Britain between 1790 and 1980 was due to improved nutrition. Robert William Fogel was born in New York City, the second of two sons of parents who had emigrated from Russia and struggled to run small businesses during the Depression. He attended Cornell University, where, prompted by widespread forecasts of a postwar return to Depression-era unemployment, his interests swung from physics and chemistry to economics and history. In 1949, he married Enid Cassandra Morgan, whom he had met while she headed a Harlem youth group promoting the Progressive Party presidential candidacy of Henry A. Wallace. He leaves his sons, Michael and Steven, five grandchildren and two great-grandchildren. Enid Fogel died in 2007. He discovered, however, how little was known about these large processes, so he began to look at more discrete subjects, such as railroad and steel technologies, employing an unorthodox approach using advanced statistical and analytical methods. Dr. Fogel and Engerman acknowledged some of the criticisms in later work but stood by their overall findings. Dr. Fogel taught at Johns Hopkins, the University of Rochester and Harvard, from 1975 to 1981, in addition to the University of Chicago.